Signed and dated (bottom right): George Hayter 1834. This is a study for Hayter's 'House of Commons' group (see NPG 54). Its early history is unknown; unlike many of the studies for this picture it does not appear to have been in the Hayter Sale of April 1871. It is also more finished than most other known studies, and was evidently completed as an independent portrait; the upper part of the figure and the features are, however, identical in the study and the finished group. Healthy complexion, brown eyes and hair. 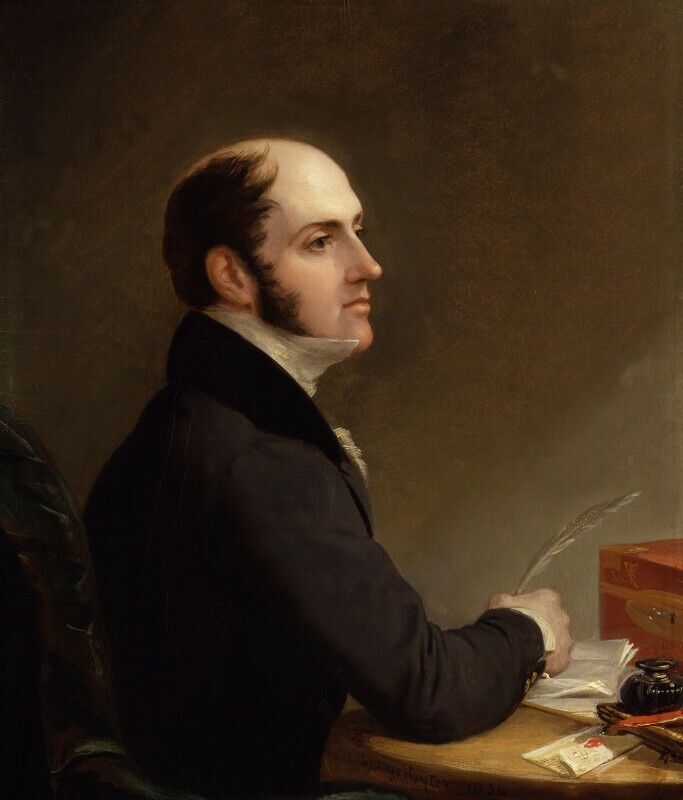 Dressed in a white stock, white shirt, and dark grey coat with a velvet collar, holding a quill pen. Seated in a green and brown high-backed armchair, writing at a table with a yellowish-beige cloth, an inkstand with a stick of red sealing wax, various letters and documents and a red despatch box, inscribed 'W. R.' for William IV. Background colour various shades of grey. Purchased at Coe & Sons, 29 January 1969 (lot 990).